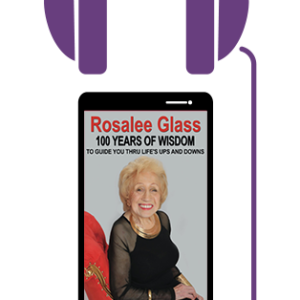 Hear Rosalee's voice as she enthusiastically and passionately speaks her words of wisdom which can change your life for the better. 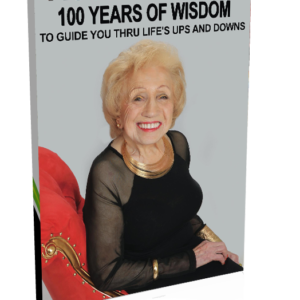 If you listen to one of her 100 motivational sayings each day, you may find yourself a lot happier and an even better person than you were before. 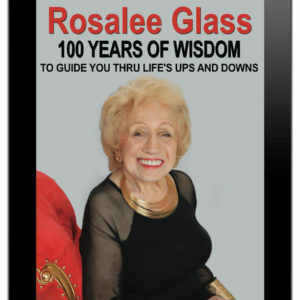 You will receive a video digital download of Rosalee’s 5 star rated book “Rosalee Glass – 100 Years of Wisdom to Guide You Through Life’s Ups & Downs.” In this video, you will see and hear her share her words of wisdom -the secrets that guided her life & allowed her to have peace of mind and happiness. 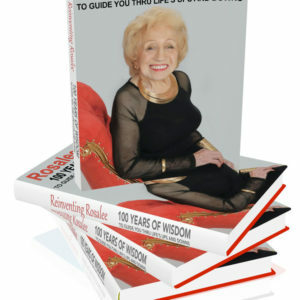 You too will reap the benefits from her sayings in this inspirational book.